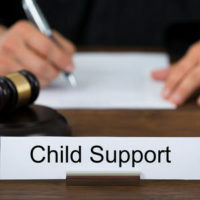 How Can I Use Child Support Payments? Child support is a monthly payment that is made by one parent to another for the purpose of ensuring that a child receives food, clothing, shelter, and education and much more. When the court issues a child support ruling it must be followed or else the person ordered to pay it can face a bench warrant for arrest. If you are receiving child support payments you likely want to know how you can use the money. Let’s take a look at the various uses of child support so you know what to do with those payments when they arrive. One of the most important things you need to do is ensure that you and your child have a place to live. Child support can help pay the rent or your mortgage. You can combine these payments with any spousal support you receive to make sure that you and your child have a roof over your heads morning, noon, and night. Do you want to send your child to a private school? If so, you can use the child support payments you receive to pay the tuition at a private school. The money can also be used to pay for uniforms, books, activity fees, transportation, sports equipment and school supplies throughout the year. Even if your child attends public school there will still be fees you need to pay and child support can be used for this too. Every child needs to have clothes, shoes and other items. It can get very expensive when buying these items because young children are constantly growing. Child support payments can help ease the burden of being a single parent since you won’t have to dip into your own checking account or charge the purchases to a credit card. We mentioned paying for an education for the child earlier but this is another use for child support payments and that is investing in their future. This can be done by creating a savings account or educational fund to ensure that the child has enough money for a college education when they reach that stage in life. The most common of these is the Registered Education Savings Plan, or RESP. This plan is available to all residents of Canada who want to put money away for their child’s education following the high school level. Even though your child is likely covered by either your health insurance plan or the plan held by their other parent, you might still need to pay for medical treatment. This can be done with the help of child support payments. There are a lot of fees and other payments that are made out-of-pocket when receiving medical care. Child support can be used to pay for out-of-pocket office visit fees, deductibles, prescriptions and medical equipment rental or purchase fees. Do you need to have a babysitter watch your child while you are at work? The child support you receive from the other parent can pay for the babysitter or for sending the child to an after school care business. Not sure how you can use child support or how long it lasts? Do you need more than what was ordered by the court? Contact Zagazeta Garcia LLP in Mississauga today to schedule a consultation.